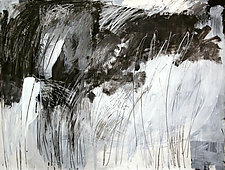 "I am inspired by nature. 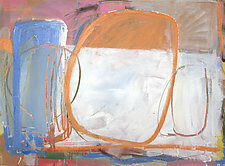 I explore the connections I make between a specific location and a particular moment in time when the light and ambience of the surroundings touch me. 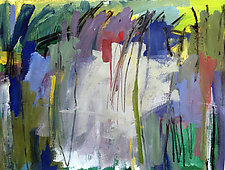 These are remembered moments distilled into an abstract language of colors, shapes, energy, rhythm, and mood. " 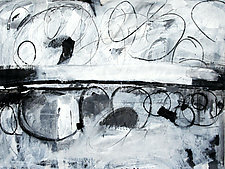 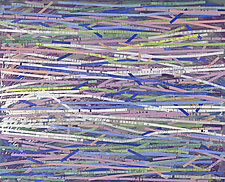 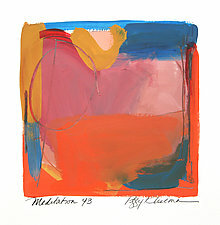 Like the Abstract Expressionists of the New York school, Peggy Klineman creates works on paper that are process driven. 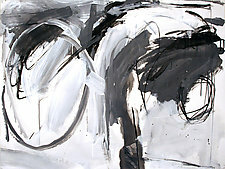 The plasticity and immediacy of the paint drives her expression and captures the unconscious. 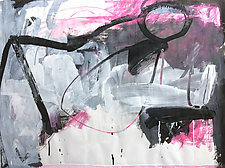 She is an intuitive, gestural painter who works until the right moment is released and the desired effect is achieved. 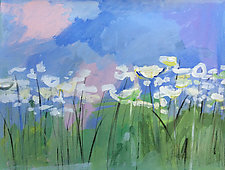 Klineman often paints in quick strokes, while at other times, she adds paint and wipes it off to achieve her unique works. 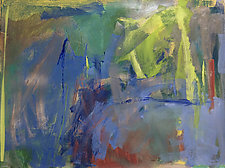 During many sessions, as rhythm and forms unfold on the paper, she composes spontaneously, capturing light with her color choices and amplifying movement and energy with aggressive mark making. 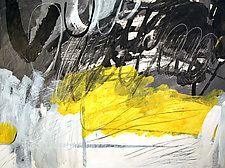 Fluid brushstrokes are juxtaposed with crisp lines made with graphite or charcoal. 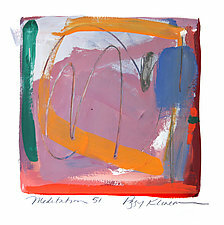 Klineman received her MFA degree in ceramics from Rochester Institute of Technology in Rochester, NY. 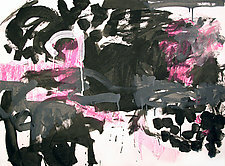 While living and working as a designer in New York City, Klineman studied painting at Cooper Union and at the Art Students League of New York. 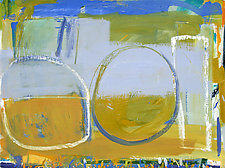 In 2015, she moved from NYC to Worthington, MA, where she now lives and maintains her studio.